A roof lantern is generally a glazed structure installed on a flat roof, which allows natural light into a room, often referred to as a skylight. 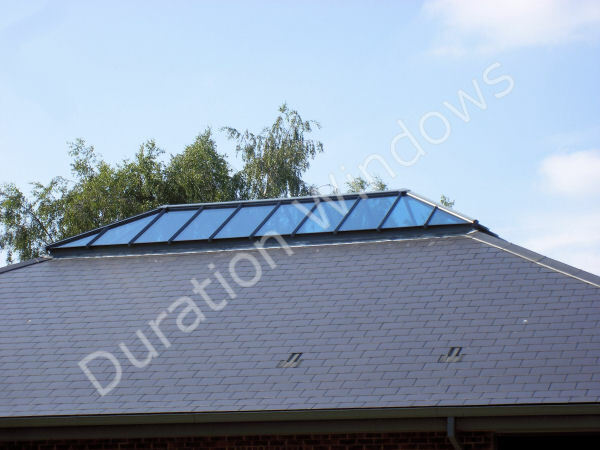 However, as you can see from the pictures below, the lantern can also be installed on top of pitched roofs. 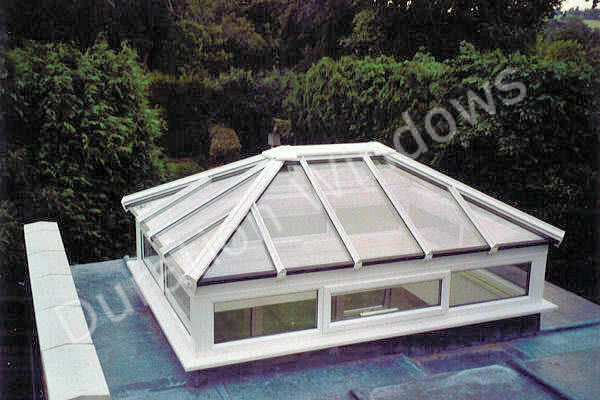 Available in many sizes and styles, finished in any RAL colour and made-to-measure to your exact specifications. 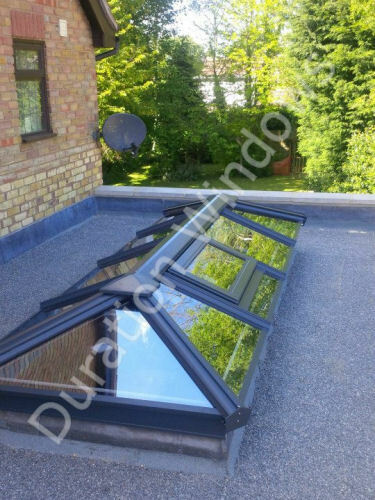 A comprehensive range of glazing is available including clear toughened, anti-sun, easy cleaning and solar control. 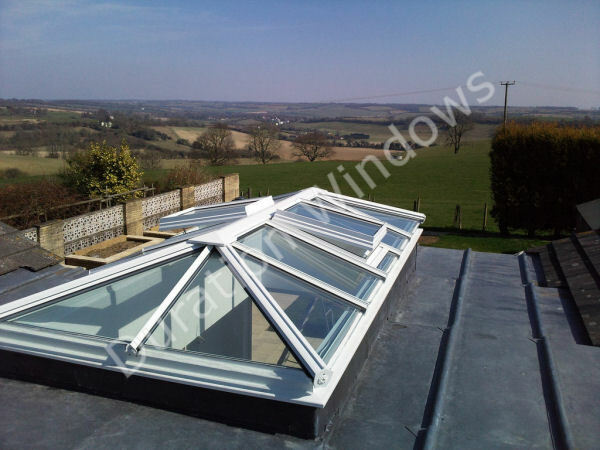 The fitting on a roof lantern is a relatively easy task providing the existing roof has been prepared correctly and with care. 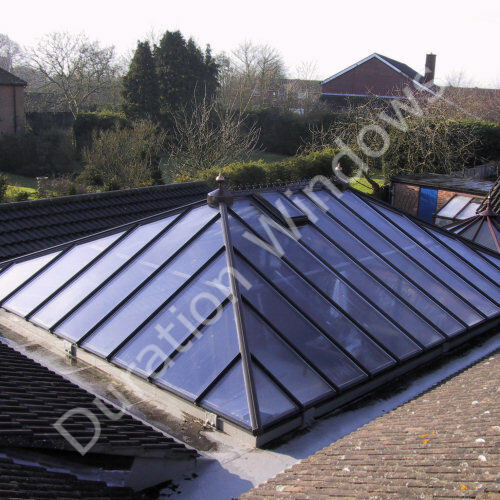 Below are some pictures of the various stages in fitting one of our roof lanterns. 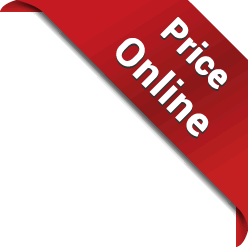 If you wish, we can give you on-site tuition to help you get started - please contact us for details. 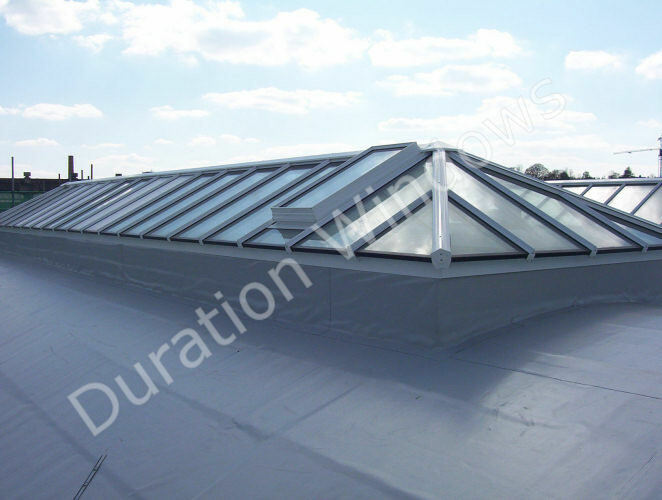 Roof FAQs Roof Colours Instruction Service Fitting Stages Find A Fitter Delivery Why Aluminium?